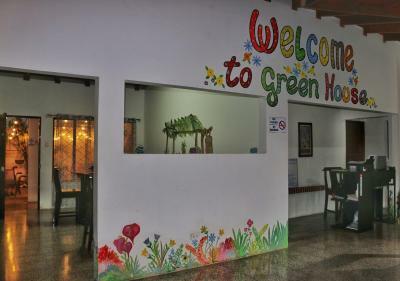 Lock in a great price for Hostal My Green House – rated 8.9 by recent guests! I stayed when I landed in, and the night before I left Costa Rica. Decent place to rest your head and chill out with clean sheets and good water pressure, but very much a spot for those just stopping for the night. Pro-tip: lots of Uber drivers park in the shade down the street so you’ll likely have luck getting a ride to the airport. 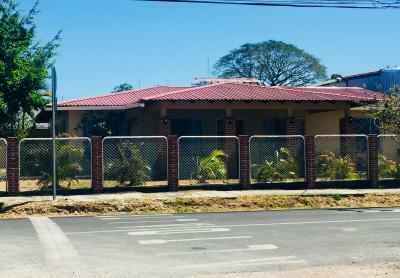 At ~4000 colones it is much cheaper than a taxi. 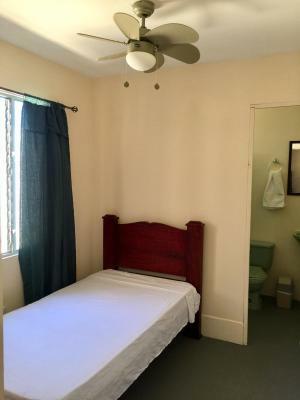 I booked a private room which had AC ; it was totally fine for my one night stay . The shared bathroom was clean. Staff was friendly and helpful . There’s a nightman there for assistance and safety. Location great for transiting through Liberia by bus especially. Terrace area is breezy and precious. Easy to meet other travelers, tranquil atmosphere, very nice staff. A few nice extra touches and clean. Buena vibra en general. Really awesome staff, nice pool, comfy bed with ac, not to noisy and lots of plants and greenery! We had an early flight the next morning, and it was only 10 minutes from the airport. We are pretty thrilled that we could find a place so close, so we could get a few hours of sleep, for such a good price. The staff was amazing. They were so responsive and helpful. 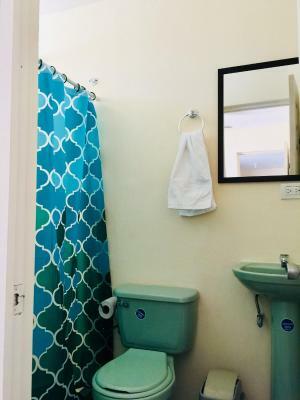 The place was very clean for a budget hostel with a shared bathroom. Even our room was bigger than expected. 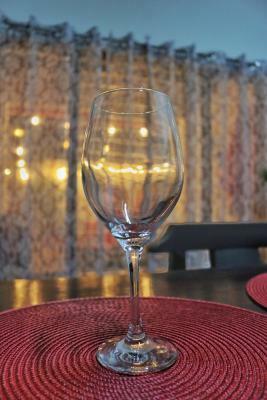 The shared kitchen with filtered water was great and we enjoyed sitting out on the patio before we went to bed. Being able to park our car inside a gate made us feel really secure. It was also just a short walk to anywhere in Liberia. They let me check in early and we’re very friendly. Bed was soft and comfortable. Was able to book a taxi for me to the airport! The patio is cute and relaxing. Comfortable foam mattress, slept well. Friendly staff. Great value with clean sheets and towels and little soaps, even morning coffee. Loved the room full of world travelers to talk with on my first night in CR. I liked that we could walk to a cafe for dinner, a bank to get cash and a Kolbi to purchase a SIM card. The AC was wonderful. This place exceeded our expectations for a quick stop over to go to the airport. 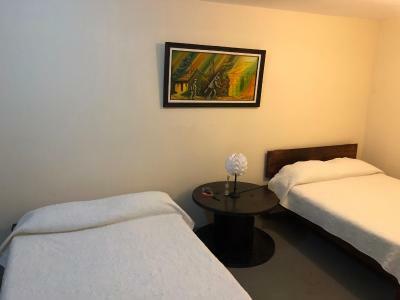 Spacious and spotless rooms. 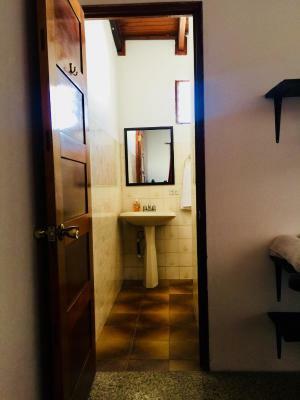 Clean bathrooms with hot water. The receptionists are so friendly and helpful. Free coffee, kitchen and outside area are huge bonuses. 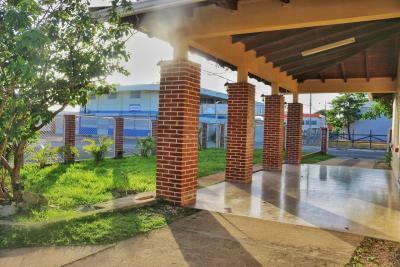 Offering free WiFi, Hostal My Green House offers rooms in Liberia, 1.1 miles from Edgardo Baltodano Stadium. Featuring a shared kitchen, this property also provides guests with a terrace. Guests can use a garden. 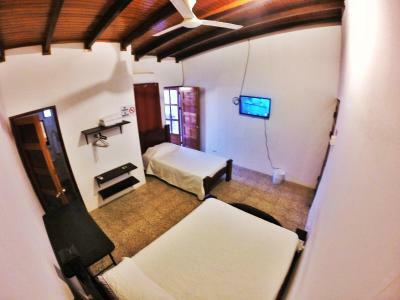 The rooms at the guesthouse come with a flat-screen TV and a kitchen. Hostal My Green House has some rooms that include a patio, and every room comes with an electric tea pot. 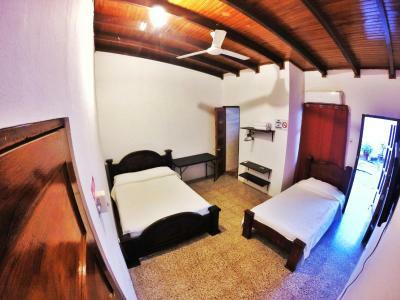 At the accommodation, each room comes with a seating area. 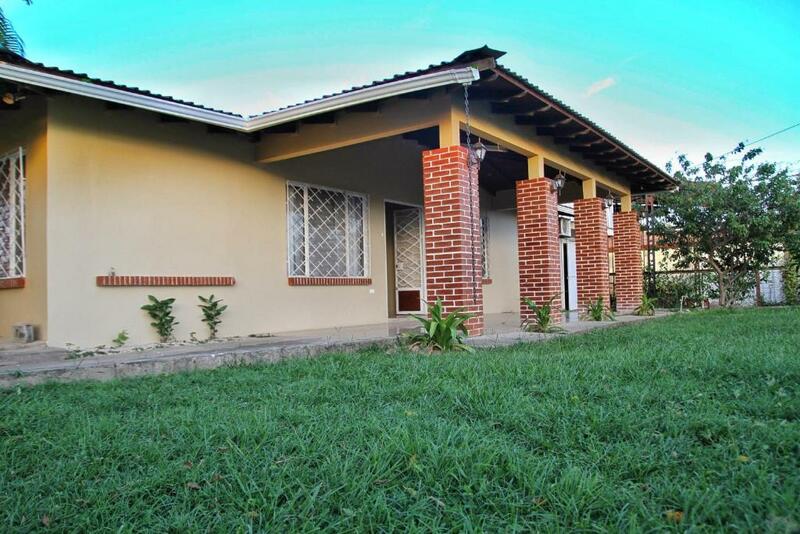 The nearest airport is Liberia Airport, 8 miles from the property. This property also has one of the top-rated locations in Liberia! Guests are happier about it compared to other properties in the area. When would you like to stay at Hostal My Green House? This double room has a toaster, microwave and kitchenware. House Rules Hostal My Green House takes special requests – add in the next step! Hostal My Green House accepts these cards and reserves the right to temporarily hold an amount prior to arrival. Please inform Hostal My Green House of your expected arrival time in advance. You can use the Special Requests box when booking, or contact the property directly using the contact details in your confirmation. Not much of a hostel vibe of you are looking to meet other travellers. The private room here is more like a hotel than a hostel. It's bloody brilliant and super comfortable. Everyone who works here is very nice. The location is great, a few minutes from the bus and restaurants. Really great place to stay. Lovely kitchen, nice vibe and really clean. The host was wonderful. There was a slight issue with the online reservation and they sorted a solution super quick. Very good place to stay in Liberia! Clean and comfortable. About a 10min walk to the bus stations. Friendly staff. Perfect! The taxi couldn’t find the place as it’s new . 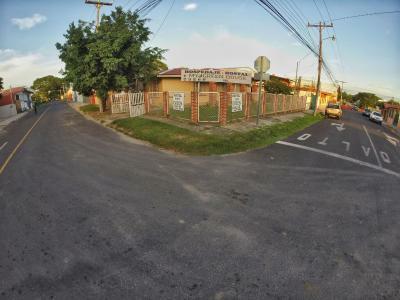 You need to give specific directions on how to get there as opposed to the name of it. Asked about taxis to airport and was given very expensive option. I looked up Uber which was a third of the cost. The beds and pillows could have been a little more comfortable, but it was about what we expected for the price. The place is in a nice area, easy to find and there is parking on-site for free. 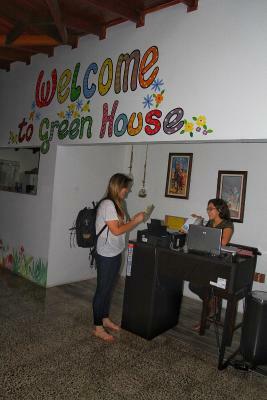 It's a relatively simple hostel that is clean and good for a 1 or 2-night stay. The air conditioning worked very well and was a nice relief. Family room for 4 people had a separate room for one of the beds. That was a nice bonus. Good size room and bed was comfortable. AC and WiFi worked well. Only a couple of blocks from restaurants and a few blocks from bus station. Extremely good value for money. We were passing through and stayed only one night, but it was clean, comfy, fan &AC in the room (we only used the fan) and we had access to the patio/courtyard and kitchen. The triple room was cheaper than the double and I am glad we took this option, too. 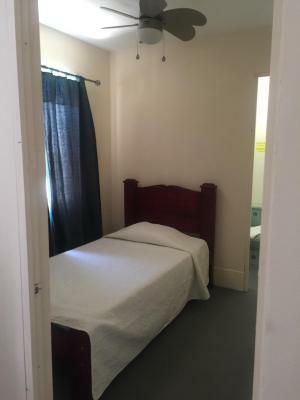 I really wish I could have given this property a better rating because everything was great except for the bed. I was on a top bunk and I could tell just by looking at the mattress it wasn't going to be good, but it wasn't until I tried to sleep that I realized it wasn't much better than having a blanket thrown over wooden slats. I know these kind of foam mattresses and they are cheap but functional - this one was just in desperate need of being replaced. It would have been more comfortable sleeping on the floor actually. 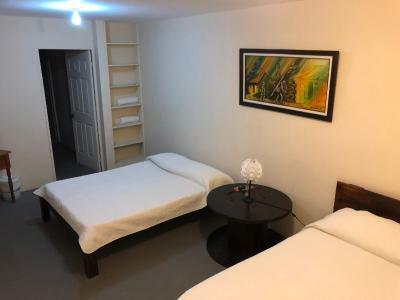 None of the other mattresses in the dorm were that bad (trust me, I tried them all haha) so it is worth taking a chance and booking this place, because I really liked everything else about it. The second bathroom was dirty and the water smelled.